Should I Try Debt Consolidation Or Debt Reduction Instead Of Filing Bankruptcy? If you are under heavy debt, you have undoubtedly considered either seeking bankruptcy protection, or seek some sort of debt consolidation or debt reduction. Many people are bombarded by the recent popular monikers of “debt consolidation” or “debt reduction” services offered by some unscrupulous 3rd party vendors. Given the right circumstances, debt consolidation or debt reduction can get yourself out of the serious debt. But if you ended up using the services of the not so reputable second rated service providers, you might actually be a worst shape than you were previously. Therefore unless you can be certain that the debt consolidation or debt reduction service provider is legitimate, you should really consider filing for bankruptcy instead. The premise behind debt consolidation is so simple that everyone should be able to do it himself or herself. If you are currently paying various credit card debt such as American Express, Capital One and Chase credit card, in addition to the various store credit cards such as a Sears store card along with a Home Dept store card. The entire balance of all 5 credit cards might add up to $40,000. Instead of keeping track of 5 separate monthly payments, the idea behind debt consolidation is to lump all 5 credit card payments into 1 payment. By doing so you will have an easier time to track your outstanding debt balance and eventually be able to pay off the one consolidated loan. The way to achieve this is to get a line of credit (either through a home equity loan or another credit card) that will allow you to consolidate your other debt obligation, then it makes sense to do so. But honestly speaking if you are already in serious heavy debt, it is quite unlikely that you have the ability to get a line of credit big enough that will allow you to pay off all your other credit card bills. You should be wary if you choose to hire a debt consolidation company. Many people were duped into thinking that all debt consolidation companies are legitimate. If you search the Internet, you will find many horror stories of people who have paid 10-20 payments to consolidation companies just to find that their original debt still exist when they should have become debt free by then. Generally speaking, debt reduction is the idea that you will negotiate with the creditors to reduce the amount that is owed to them. For example you owe Chase credit card $30,000. You can try to negotiate with Chase to lower the full amount from $30,000 to $20,000. In my own experience, there are some credit card companies who will be willing to do this type of transaction, but there are conditions that will need to be satisfied. Credit card companies know that the economy is still stagnant, and many people just do not have the means to pay back all the debt. The credit card companies would rather recoup a portion of the money that is owed to them than to lose everything if the credit card holders file for bankruptcy protection. Debt reduction is quite commonly done depending on the credit card company’s financial situation. I know of people who had their Discover cards’ balance reduced by as much as 60% – 75%. Other companies with stronger financial backings such as Chase JP Morgan are usually more stringent in their debt reduction program, even if they decided to offer you one. If you can be assured that your credit history and credit score will not be affected during and after the debt consolidation or debt reduction process, then you should definitely not consider filing for bankruptcy. If this debt consolidation or debt reduction process will still hurt your credit history and credit score, then it just makes perfect sense to seek for bankruptcy protection. At the end of the day, if you have chosen to file bankruptcy, you will literally become debt free overnight and will never be obligated to pay back the creditors. Why would you want to put yourself in a situation where you will still need to payback the creditors for months or years, without any real benefits? You can take the money that you will be using to pay back the creditors and save it as a “starting point” for your financial rebuilding. 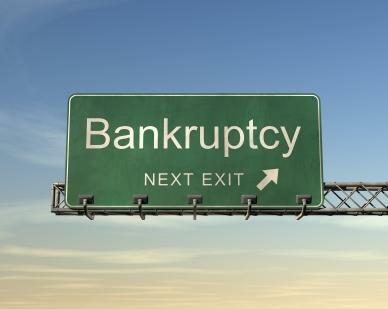 You should even seek the counsel of a bankruptcy lawyer, who generally offers a free initial consultation. Get all the facts straight, whether you are looking to file for bankruptcy protection, or to hire a debt consolidation/debt reduction service provider.